Being a lone wolf in network marketing is a big mistake. I think so. It’s one of the most common mistakes I see people make. Heck, I’ve made this mistake MANY times myself. I’m not proud to admit that, but it’s the truth. Most people who join our industry try to do everything on their own, either out of ignorance or pride. Rather than learning from their successful upline, they take the lone wolf approach and think they have to come up with all of the answers. In most cases, these folks don’t survive much more than 90-days in the business. They end up thinking the business doesn’t work, because it didn’t work for them. Had they been a team-player and plugged in to their ACTIVE upline, their results would have been much different. Network marketing is a team sport! It’s nothing like traditional business. In this industry you aren’t competing against anyone. If you have some wits, you will collaborate with successful distributors in your upline, cross-line, and downline so you can work smart. Many of these folks are a tremendous source of wisdom and experience. Your upline is your FREE BUSINESS COACH. They have been in the business longer than you AND they have a vested interest in helping you succeed. If you make money, so will they. As a result, they want to help you. All you have to do is ask. Unless you are the master distributor for your company, someone in your upline is a wealth of knowledge, and would be a tremendous resource for you to partner up with. It might not be your sponsor, or immediate upline, but I can assure you that if you keep calling upline you will eventually find SOMEONE who knows what they are doing, who will help you. Whatever you do, don’t think you have to figure everything out on your own. Every “great” idea that you have about the business has been thought of before. Trust me. Your upline is a great resource to validate your ideas before you end up wasting time and money on something that does not work. 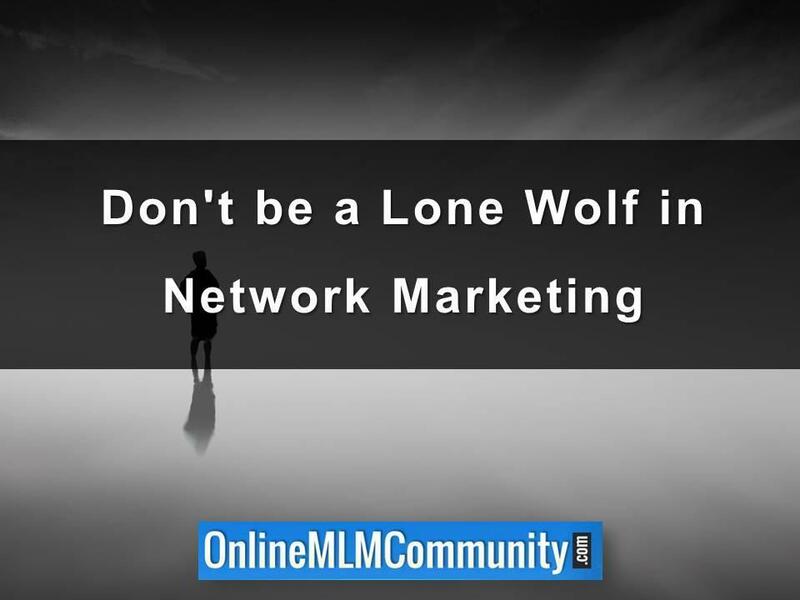 Why shouldn’t you be a lone wolf in network marketing? First off, you don’t know what you don’t know. If you are new to the industry and don’t have a strong background in leadership, people skills, sales, marketing, prospecting, lead generation, and running a business, you’re going to spin your wheels until you learn what you are doing. A good upline can shorten your learning curve. Someone who has been doing the business twenty, ten, five, even three years is a wealth of knowledge. Chances are, they’ve tried just about every idea you can think of. That’s why you want to work with them and bounce your ideas off of them, so you don’t go down the wrong rabbit hole. They know what works AND what doesn’t work. Another reason not to be a lone wolf is CREDIBILITY. You see, most new distributors don’t have much credibility with the people they know. However, if you let your upline share the same information with your warm market, there is a good chance those people will listen to them. When you have someone in your upline with a proven track record and financial success, they are a great person to get in front of your prospects. Another reason not to be a lone wolf is SUPPORT. If you’re new to the business, you will get discouraged at times. Heck, I’ve been in the industry 17-years and I still get discouraged at times. Your upline is a great support system, if you let them be. Whenever you are feeling sad, down or depressed about your business you can give them a call and get some encouragement. In addition, your upline can train you. Once again, trying to figure out everything on your own is a big mistake. You can take their experience, knowledge, systems and tools and get started right. Within six to twelve months, you can learn just about everything you need to know to be successful in network marketing. If you were left up to your own vices to figure everything out, it would take you MUCH longer than that. Once again, trying to figure out all of these things on your own would require a huge learning curve. The bottom line is that it is foolish to be a lone wolf in network marketing. This is a team sport. Your sponsor and/or successful upline are a tremendous wealth of knowledge and support. To get their help, all you have to do is ask. After all, they have a vested interest in helping you succeed with the business. What are your thoughts about being a lone wolf in network marketing? Leave a comment below to let me know what you think. I look forward to hearing from you. 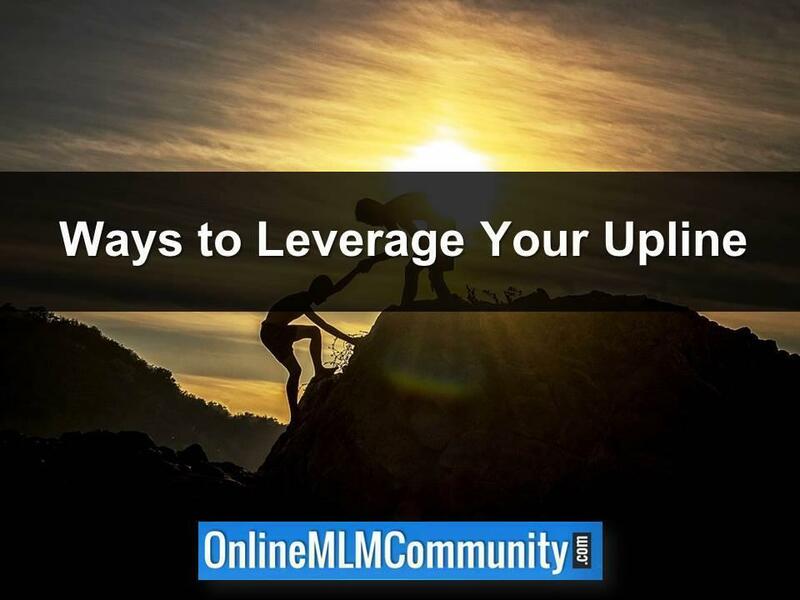 You must leverage your upline and make them work for you. It is in their best interest that you succeed and succeed fast. If you try to go off on your own, they will think you are not serious and you will be eventually left all alone with no support. Get all the tools they have, attend every meeting and always be learning something new about your business. Those that have gone before you have made all the mistakes for you so when you join their team go ahead and play with them. I don’t think being a lone wolf in network marketing is a good idea. I think if you ask any successful business person, or anyone in any profession really, somewhere along the way they’ve had someone, or more than one someone that they have looked up to, and that has helped them out. And Chuck, going with what you said about living close to your mentor, my mentor lives in Puerto RIco and I talk to her almost daily through Facebook, email or telephone. It’s more than possible. I agree…..it’s in the thought process. Yes, having a mentor is vital. You had a comment from a Facebook poster here that seems to think he is in a lone wolf position. I just wanted to discuss this. Yes, maybe your mentors are not helping you, but you came here…that is how you are not being a lone wolf. If one mentor will not help you, find people that will. I believe that no business, whether traditional or network marketing will succeed with the lone wolf thought pattern. We all need others who can help us. It may be through training, mentor-ship, outsourcing or any other business related item where you need other people. We just cannot do it all ourselves. I’ve never met ANY of my mentors face to face or in person. We’ve done all our mentoring by phone or email and that works fine. Living close to your mentor isn’t important in today’s technological world.